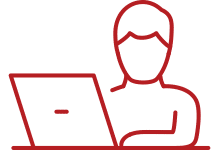 This post is a summary of resources describing NX CAM software updates available with NX 12.0.2 for manufacturing. It includes new functions delivered since the release of NX 12. Each item listed is linked to another article with more details. Just click on the red headline. 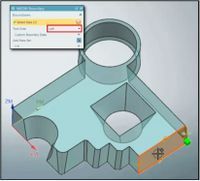 You can now use the Path Smooth feature when using the Area Milling and Guiding Curves Drive Methods. The Path Smoothing option replaces sharp corners in tool paths with radial moves. 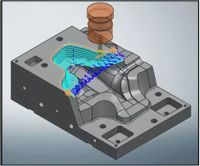 operations using the Area Milling drive method. The Spiral Non-Steep Cut Pattern is now available when you create operations using the Area Milling drive method. You can now create finishing operations for Turning that use a continuous B-Axis rotational method. 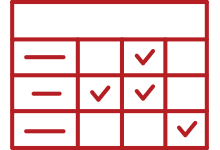 Fixed- and Variable- (or Multi-) Axis Guiding Curves are general purpose finishing operations that work on many types of surfaces including those not forming a grid. These operations create the pattern directly on the cut area without projecting. You can now use Tangent Barrel tools for blade finishing operations. Multi-Stripe Range Type allows you to define a Top, Intermediate, and Bottom Stripe Type, each specifying the percentage of the blade to be machined. You can use Custom Offsets to create “flares” to assure a smooth transition between overlapping stripes. 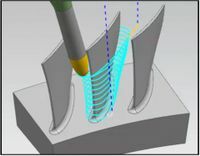 When Blade Roughing, the No Curling option now adds a tangential move prior to reaching the leading and trailing edges. 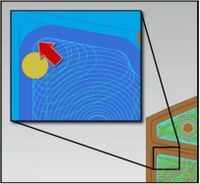 The new Minimum Curvature Radius option for Adaptive Milling gives you better cutting control in corners by preventing small cuts that can cause excessive tool wear. The new Synchronized option for Motion Output Type improves Wire EDM cut quality by outputting smoother, more continuous 4-Axis tool paths. 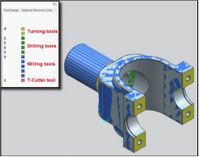 Turning operations now support tools with multiple cutters. When simulating, you can now display material removal colors based on tool type usage. Wire EDM 4-Axis Open Profile operations now determine the correct Tool Side automatically when selecting Side Faces to define the boundary.